The cooperation is expected to enhance the quality of sweet corn and maximise sustainable revenue for the farmers. 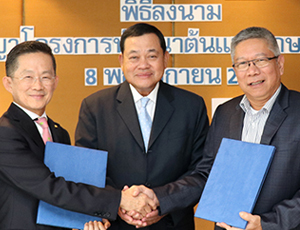 The photo showed Karn Thongyai (third from right), first executive vice president of Loxley and Ongart Kittikhunchai (fifth from right), chairman of executive committee of Sunsweet after signing the contract. 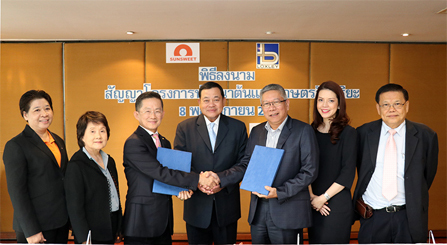 Sompop Chareonkul, vice chairman of the Executive Board of Loxley witnessed the signing.